Mark is not only one of the country’s top fully qualified DVSA’s rare Grade A 51/51 Approved Driving Instructor (ADI) but is also a DIAmond Advanced Driving Instructor, a former DIAmond Examiner, a former DIAmond Approved Taxi Trainer and a former NDORS Classroom Speed Awareness Course Presenter. Mark is also a certified holder of the PTLLS highest Level 4 qualification to teach adults in a classroom and has signed up to the voluntary DVSA and DIA continuing professional development scheme (CPD) and code of practice (COP). As well as passing the 3 basic examinations all first time to become a fully qualified Approved Driving Instructor, Mark has passed 5 other separate modular Diploma examinations in Driving Tuition, the coveted DIAmond Special Test, the DIAmond Advanced Test, the IAM Advanced Driving Test and the DIAmond Approved Taxi course ALL first time. The DIAmond Special Test is one of the country’s most difficult driving tests. Mark teaches in a Vauxhall Corsa with air-conditioning, full He-Man controls and satellite navigation. Paul has been a DVSA Approved Driving Instructor for over 14 years working with Mark at J.C’s Driving School since 2004. He really enjoys helping pupils to build their driving skills through a structured process and enable them to pass quickly and stay safe on the roads for life. He is a Dad of two and a very professional, patient and reliable person. He works very hard with every pupil to help them achieve their driving goals. Currently, Paul teaches pupils in a fully insured Hyundai i20 which is fully fitted with He-Man dual controls, air-conditioning and satellite navigation. He has also signed up to the DVSA and DIA voluntary continued professional development scheme to further his coaching and teaching skills. Paul is a DIA member which helps him keep up to date with the latest information, regulations and ideas. J.C’s Driving School has the expertise to help you become a safe and confident driver quickly and stress free. We will provide you with highly professional driving instruction throughout North Somerset and you will be learning with one of the most experienced and popular local driving schools, which has taught hundreds of successful pupils over more than 25 years of being in business. 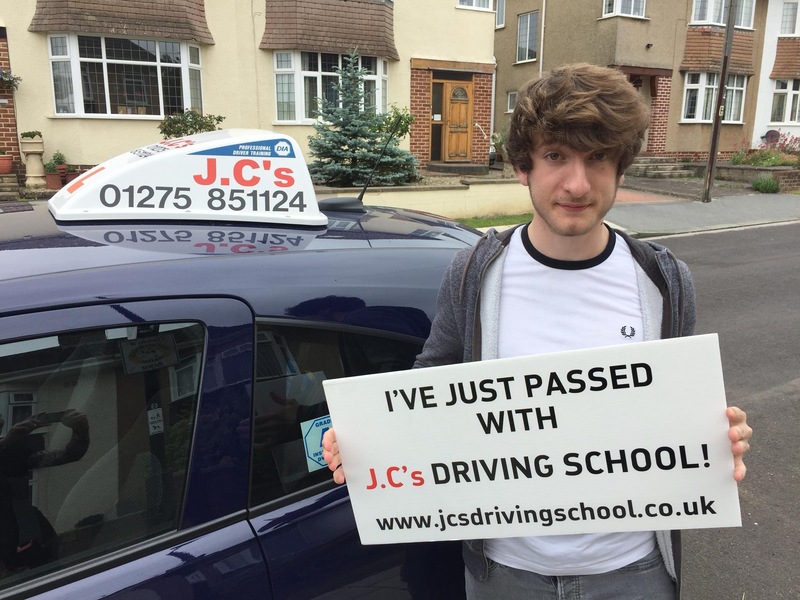 J.C’s Driving School consistently achieves high pass rates and has had several pupils pass their practical test with zero faults, which is very rare nationally. J.C’s Driving School knows that everyone has different needs and usually we can offer you as many hours as you want per week. We can help you with theory and hazard perception test preparation and to keep costs to a minimum, you could receive a generous discount for block bookings. J.C’s Driving School only uses fully qualified, regularly enhanced DBS checked DVSA Approved Driving Instructors (ADIs) with full instructor licences. J.C’s Driving School offers many free local pick-up points including: Nailsea, Backwell, Flax Bourton, Claverham, Cleeve, Clevedon, Congresbury, Chelvey, Wraxall, Yatton and surrounding areas. J.C’s Driving School has a very strong reputation built on a long history of punctual, professional and reliable instructors with an impressive high pass rate. We have a wide range of driving lessons and courses at very competitive prices to suit a variety of needs all the way from the complete beginner right up to the advanced pupil.